Every place Wild Great Wall Adventure Tours visits is special – and we want it to stay that way. Wild Great Wall Adventure Tours promotes responsible travel in a way that conserves the environment, respecting and benefiting local people. With your participation we can help conserve Wild Great Wall we visit and bring positive benefits to our host communities. We at Wild Great Wall Adventure Tours recognise that the tourism industry impacts local communities and the environment therefore, as a travel operator, we must manage the impacts we create in the way we operate our business. 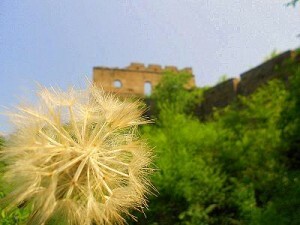 Our aim to encourage more people to visit Wild Great Wall by promoting enjoyable and informative trips which give our travellers a more authentic experience, whether it’s enjoying a local farmer’s guesthouse, or locally-owned restaurants and campsites, whilst maximising the benefits these generate for the local economies, environments and host communities. Using suppliers, products and services locally that are the most ethical option available. We source locally-owned accommodation, restaurants and campsites wherever possible. Employing local people directly wherever possible in our operations. We show our clients how to spend money in a way that benefits local communities. In the face of environmental problems such as landfill, environmental degradation we prefer to focus on what we can do. To have our trips designed in a way that limits the physical impact on Wild Great Wall we visit so that they may be enjoyed by many generations to come. Retain all batteries for proper disposal in cities. On our trip, we make an effort to ensure that the vehicles are in good condition, are running efficiently and not emitting undue amounts of emissions. Avoiding wastage of resources such as electricity and water by e.g. turning off electrical equipment when not in use.